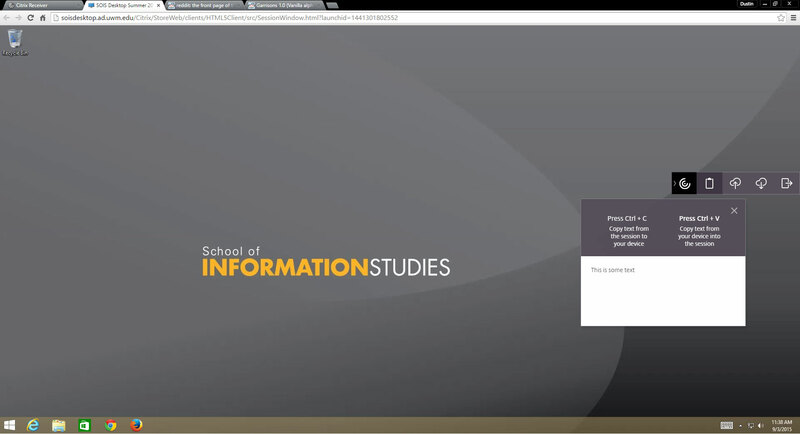 Using the web browser is the quickest and most simple way to access the SOIS virtual lab. 2) Login using your ePanther ID and password. 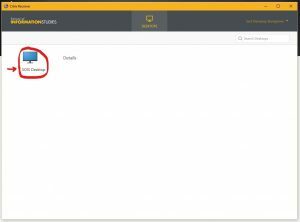 Use your ePanther ID and ePanther password in order to access the virtual lab. 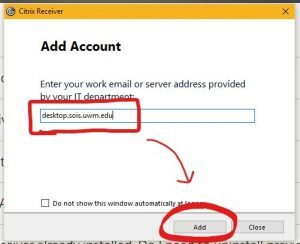 If you are unable to login please email soistech@uwm.edu. 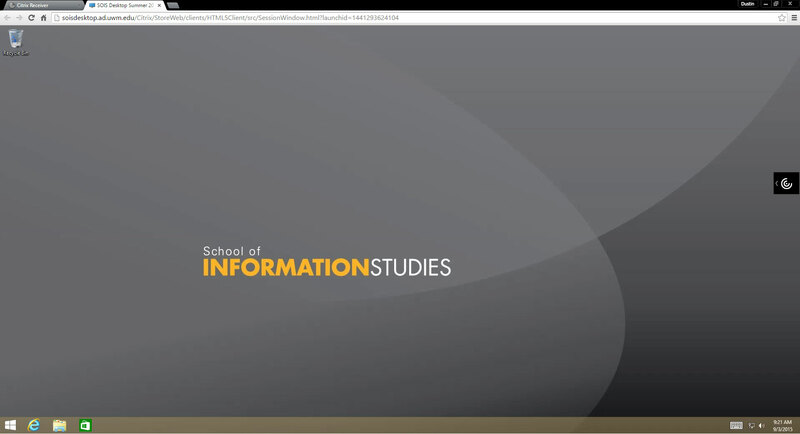 Please be sure to let us know what SOIS courses you currently enrolled in. 3) Once you login you should arrive at the following page. 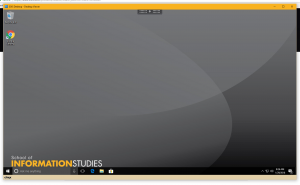 Select the windows icon in order to initiate the virtual lab session. 4) A new window/tab will open up, this is the HTML client. 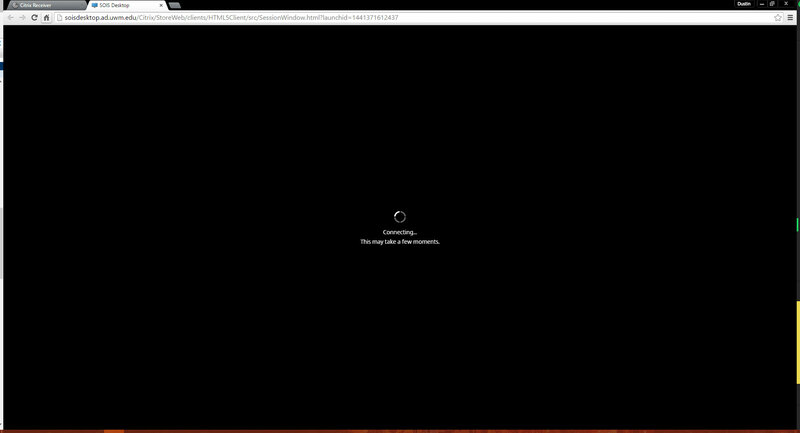 It will load your virtual desktop. 5) The screen or window will look as follows if you connected successfully. 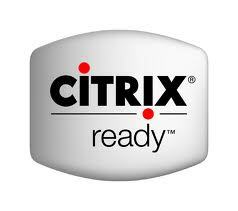 You will use the Citrix toolbar displayed on the screen to upload & download files to and from the virtual machine. The upload option will allow you to select files from your physical machine and upload them to the virtual machine to be worked on and edited. The download option will allow you to download files from the virtual machine to your local/physical machine for saving and submitting. We have also created a video which will show you how to upload and download files off of the virtual lab. Please click here to load it. You can also copy and paste content via the Citrix toolbar. Simply by pasting (Ctrl + v) content into first into the clipboard, you will then be able to paste the content within the virtual lab. 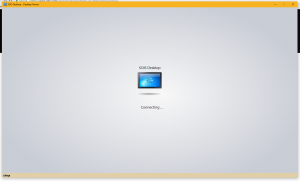 The Citrix Receiver application offers more advanced functionality, such as being able to directly map USB drives, printers and local storage. 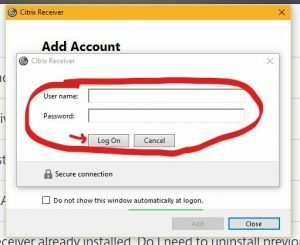 When installing the Citrix Receiver you can follow the default installation prompts. Next, you’ll be prompted to enter in your username. Please enter in your ePantherID (without @uwm.edu) and password. You may have to enter this information in twice! 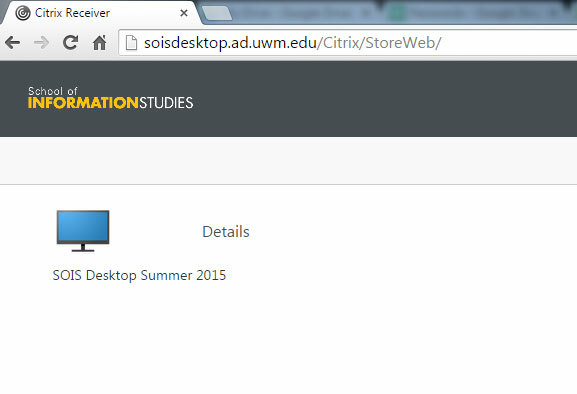 Now click on the “SOIS Desktop” and it will load in a separate window. Please note that this window may pop open behind the application. You can use the desktop like you would a regular computer. There are advanced functions that can be viewed by clicking the navigation bar at the top. The options available will vary depending on your operating system. 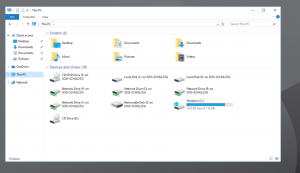 You can upload and download files either via OneDrive, or by mapping a flash drive or local hard drive under “This PC”. The options you see will vary depending on the number and type of drives your has. Please be sure to save your work somewhere other than the virtual machine often. When your connection ends the computers are automatically wiped to keep them clean for the next user. The current time out period is set to 30 minuets– so be sure to stay active at least one ever half-hour in the lab if you do not want to be disconnected.